market trade and scarce supplies of basic commodities. during a ceremony to hand over the licences. using cash, and Z$120,000 when paid for via an electronic transfer. meant to allow them to use their foreign currency to buy from the shops. law enforcement is unravelling conservation progress. years," said Susan Lieberman, director of WWF's species programme. 2000, for a period of seven years, there was no rhino poaching wahtsoever,"
said Raoul du Toit, Lowveld rhino conservation project manager. convicted, no Zimbabwean poacher has been convicted. were "granted bail, freed and immediately absconded." nearly 4,000 black rhinos, added WWF. the few remaining white commercial farmers in Zimbabwe. on these fresh farm seizures. some instances the police were refusing to act and arresting the culprits. in Zimbabwe after the controversial 2 000 land invasions. appear to be against the spirit of the agreement. figure will rise to 5,1 million in the first quarter of 2009.
chronic food shortages, an aid agency said on Thursday. food aid in the next couple of weeks. spokeswoman for the relief group. were now surviving on a vile-tasting, fibrous root called makuri. just returned from the region. it, and it's not digestible. It creates terrible stomach pains." tiny rats they caught in their huts. government lifted a ban on their operations at the end of August. the field since the first election round in March. they're scared they're going to die within weeks if food doesn't come,"
has to be much more money than there has ever been before." does not usually appear until the rains arrive in October. with HIV/AIDS, which effects one in five adults in Zimbabwe. HARARE, 25 September 2008 (IRIN) - Rather than encouraging enrollment, schools in Zimbabwe are asking children not to report for lessons. "We have received, with concern, continuing reports that some children [in Zimbabwe] are not going to school because there are no teachers," said Roland Monash, deputy representative of the United Nations Children's Fund (UNICEF). UNICEF keeps 150,000 Zimbabwean children at school by paying their fees. "There is need to do an assessment of the situation as soon as possible with our partners in the NGO sector and the government, so that we have an understanding of the situation," he added. Many teachers have left the profession for better paying jobs in neighbouring countries, and the remaining few have been on strike since 2 September, demanding a pay hike, said Raymond Majongwe, secretary-general of the Progressive Teachers Union of Zimbabwe (PTUZ). "Teachers cannot afford to go to work because of poor salaries ... We now have a strange situation where professionals who are in the teaching field are doing menial work in Zimbabwe and within the region," he said. "The few teachers who continue to teach are unqualified relief workers, who are being paid with groceries." A teacher earns US$10 a month, which has little value in an economy struggling with an inflation rate of more than 11 million percent. The headmaster of a school in Mabelreign, a suburb of the capital, Harare, has asked children to return to school after two weeks; at another school, IRIN found children had been told to spend the day in the playground. "Out of a staff complement of 30 teachers, there are only five who are reporting for duty, but not doing any work," a teacher at one the schools in Harare told IRIN. "The rest have either left the country or cannot be bothered to report for duty because of the paltry salaries that we are getting." Orirando Manwere, a parent, told IRIN that at one of the schools, children writing exams had been asked to contribute cash to enable teachers to afford transport to come to school to invigilate. "The teachers expect to get money from parents, but parents also don't have money." Zimbabwe is experiencing a shortage of paper currency, and people are only allowed to withdraw Z$1,000 a day - enough to buy a loaf of bread or a one-way bus ticket to town. PTUZ's Majongwe said exams should be called off. "We are the teachers and we know what has been going on: there was no teaching and no learning. We would rather delay in coming up with a good complete product [children properly equipped to sit the exams] than produce a half-baked product." 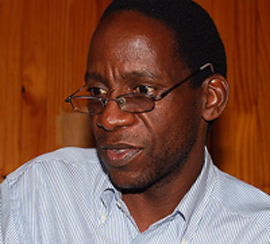 Violet Gonda’s guest is civic leader Dr. Lovemore Madhuku. She discusses his reservations on the power sharing agreement. This is followed by an interview with one of the negotiators, Priscilla Misihairabwi- Mushonga. Violet Gonda: Today on the programme Hot Seat my guest is constitutional law expert and chairman of the National Constitutional Assembly Dr Lovemore Madhuku. We have invited him on the programme to give us his assessment on the agreement signed by the rival political parties in Zimbabwe . Welcome on the programme Dr. Madhuku. Lovemore Madhuku: Welcome. Thank you very much Violet. Gonda: You have had a chance to read the power sharing agreement – what do you make of it? Madhuku: For a start I think I can say it is a very puzzling agreement because you will see there are issues that go beyond the ambit of political parties and then on the other hand there are issues that you’d say yes the parties must talk about. But what is puzzling is the extent to which the agreement wants to be very broad and then ends up covering issues that are problematic. Take the broad range of issues covering land, sanctions, issues about freedom of expression, freedom of association, issues to do with the constitution making - these are areas which when you analyse them have very little to do with the ultimate focus which was to distribute government posts. Gonda: You say it is puzzling, so in your view is the deal workable? Madhuku: I don’t think the deal is workable and the reason why I am saying it is puzzling is that you get a one sided focus. Most of those preliminary points that are raised relating to land, relating to sanctions, to freedom of expression and so on reflect one side. What we have always heard ZANU PF saying is reflected there and that is why I am saying it is puzzling. But then it is coming in as an agreement between ZANU PF and the two MDC parties which would seem to suggest that all along the MDC and ZANU PF have been seeing things the same way. But when it comes to do with issues to do with power and so on you find an attempt to try to take into account the concerns of the other parties in a very careful manner but in the end still reflecting ZANU PF dominance. This is why I say it is puzzling because from a person who has studied the history of the MDC , where it has been coming from, you’d still have to wonder if it is party to that kind of agreement. Gonda: Since you have been studying the MDC why would you think they would sign a deal that does not give them real powers and that is one sided? Madhuku: I think my explanation is really focusing on what I believe to be capitulation by the MDC . It is difficult to explain in any other way other than capitulation. For example why would the MDC simply accept that our problems in the country have been western sanctions on the basis of the land reform programme, or explain the isolation of Zimbabwe on the basis of the pressure by the United Kingdom ? And then you get the creation of the post of the Prime Minister who is neither Head of State or Head of Government and so on. It’s really a capitulation here. Some MDC people have not been telling their supporters and the rest of the world that they were tired, that they were no longer really determined to continue with the struggle that they have been fighting and indirectly just giving in. This is capitulation. Gonda: Now if we are to go to Article 18 - section 18.5, subsection F of the power sharing agreement, it says the civil society must not use violence or coercion to canvass or mobilize for or oppose any political party – what are your views on this? Madhuku: That is a typical ZANU PF mentality - for example if you go for demonstrations those will be regarded as violent. What they have always believed is if you want to campaign for any cause and you mobilise people and they have peaceful protests the police come and break these peaceful protests saying ‘you were violent.’ And this is what that paragraph reflects. In other words it is an attempt to restrain political mobilisation in the country. And the puzzling thing is why the MDC will be party to that because that is completely a false basis for understanding the politics of the country since 2000. Gonda: What about the issue of the national youth service – which was used to attack the opposition but according to this agreement the politicians want it revised. Should the national youth service be reconstituted to reflect the ‘noble’ ideas of this agreement? Gonda: I was going to ask you that some have said this national youth programme is like trying to put lipstick on a pig but it is still a pig. So can it ever be reintroduced in your view and knowing what it has done? Madhuku: If it were to be re-introduced it would be re-introduced in a different era by a completely different government with the right focus and not as youth training in the way it is done. I think the skills that the youths need, the skills that the unemployed need and the skills that we would want for the broader population can be re-organised. So I don’t see how you can have this kind of programme. Gonda: What about the reports quoting Mr. Tsvangirai saying members of ZANU-PF could face trial over political violence but not Robert Mugabe? Madhuku: I really haven’t heard that but I understand that part of the understanding in the deal is that for Mugabe to agree to any settlement he himself must not be touched. But I don’t also believe that there is any agreement that the other person must not be prosecuted. What we understand is that in terms of this deal nothing will be done along the lines of prosecuting people. So if Mr. Tsvangirai has made that remark he may still be trying to convince those who are wondering why he signed the deal to say ‘we are still on the right track,’ but I doubt that would be a sincere position. Gonda: On the other hand some may say these were individuals who were involved in these brutal attacks. So can Mugabe in his personal capacity be held accountable for crimes committed by others? Madhuku: Legally he can be held accountable but the problem is there is no one who can take him to court. In this government if he is still head of government. Tsvangirai has no powers whatsoever under the current arrangements to even talk about prosecuting some people and not prosecuting others. That is why I am really not keen to continue commenting on the statement because it does not seem to be a serious one. Gonda: Speaking about powers, I spoke with the MDC spokesperson Chamisa on Thursday and he said cabinet talks are deadlocked because ZANU PF wants all key ministries. Chamisa said the key ministries that ZANU PF wants are the Defence, Information, Home Affairs, Foreign Affairs, Finance, Agriculture, Justice, Mines, Higher Education, Youth and Women’s ministries. What are your thoughts on this? Did the MDC sign prematurely something which didn’t give them a safe package? Madhuku: I think even their own supporters were very clear to Morgan Tsvangirai before he signed that he should only sign a deal when everything had been settled. I know for sure that on the day before the signing - that was on Sunday - he told the National Council of the MDC that there would be no signing before all issues had been resolved and this included issues to do with governors as Mugabe had already appointed governors and those were not covered in the agreement. It also had to do with issues specifically to do with ministries. So there is no doubt that it was unwise for them to sign before finalising key matters such as the allocation of ministries because the so called power sharing component of the agreement is related to the distribution of government posts. And so as you see ZANU PF insisting on that, what they want to do at the end is for ZANU to end up with the real key ministries. They might not insist on all those key ministries that could be creating the deadlock at the moment but they raise them as a bargaining process. So you haggle and haggle and when you get tired they will give you one or two of those and then you settle. That is the style they use. They say ‘no’ to chairing of cabinet, ‘no’ to any changes to the Head of State status and at the end of the day they will say ‘ok it’s fine you can supervise all ministers.’ And then you believe that you have compromised. There is no compromise. Gonda: From what you have seen in the agreement, if it is breached by either party - like what seems to be happening with the cabinet posts - what recourse is there for the aggrieved? What legal clout does this agreement have? Madhuku: Well this is a political agreement. It has no legal basis in any way. It will only have a legal basis when its elements are made into law. Like the elements in the agreement going all the way to the constitution - the so called Amendment no19. It is only after that stage that it can have some legal weight but as it stands it is a political document and if it is breached by any of the parties the remedy for the other party is to go political. You exert your political muscles. For example I think that will be withdrawing from the agreement and going back to the trenches and putting pressure. I think ZANU PF is very much aware that the MDC is at its weakest having already signed the agreement without those factors. Gonda: I will come back to the issue of what happens if the deal collapses but the MDC spokesperson also told me that the issue of the allocation of the cabinet posts had been referred back to the negotiators. Does it mean every time they disagree they go back to the negotiators? Madhuku: I think that is simply a trick to try and buy time on the part of ZANU PF. The negotiators no longer exist in terms of the agreement. Once the agreement was signed you have the agreement to look to. So the mechanisms for resolving any disputes must be the mechanisms put there in the agreement. There is a committee that they agreed to set up which would supervise the implementation of the agreement unless the negotiators then becomes the review mechanisms in the agreement but we don’t see that coming in there. We believe that in referring the matter to the so called negotiators they are just simply buying time and then hoping that with time you could then still come back with pressure from the people. But if you take it back after the euphoria arising out of the agreement on Monday the 15th of September we are already going into the second week without any cabinet, and the people still hearing disagreements. The idea is that if you refer to the negotiators there might be pressure especially on the MDC to give in to ZANU PF’s dealings. Gonda: You know there are others who have said it appears the power sharing process is couched in parallel processes which are creating multi-layered bureaucracy that may impede the process – as you mentioned earlier there is the joint monitoring and implementation committee - I think they are calling it JOMIC and there is another committee that will be set up to review the mechanism periodically. Do you think this will be effective because some say if this is the case why don’t they just make the negotiators as the ‘executive’ of the country since right now they are going back to the negotiators? Madhuku: Yes you are right, and people are right to suggest that you get a multi-layered mechanism for dealing with the agreement and I think all that it indicates is that it is going to be very difficult to have the agreement work. But as I have said, if you refer the matter to the negotiators you are simply buying time because the issue at stake is not about the negotiators, it is about the Principals. Here you are allocating appointment processes – which party gets which ministries. I think it is very much to do with how the leaders of govern, in this case the President and possibly the Prime Minister would want to see themselves working together. So it is a matter that must remain with the Principals. Gonda: Can the MDC go back to say Mugabe is illegitimate if things fail since they endorsed him in front of the world when they signed that deal? Madhuku: I think they will not be taken seriously if they were to do that. At the moment they just have to ensure that they go with the decisions which have already been reached more or less at an irreversible stage, where they have said they will accept Mugabe as President and Head of State. All these other people will have to be installed and Mugabe had already been installed on the 29th of June 2008 – that’s what is implied by that agreement. He is President in terms of that installation. So I think you cannot blow hot and cold over the issue of the legitimacy of Mugabe. So I think they cannot go back without being taken less seriously than before. There is a time in the political process when you have to take the consequences of your actions. The consequences of their actions all along have been to clothe Mugabe with legitimacy and they have to work along those lines. If they pull out they will have to raise other issues about Mugabe other than his legitimacy, which they can still do. Madhuku: Like he is a person who is difficult to work with, he breaks agreements, things like that. You would really be insulting the public if you say he is illegitimate and we will not talk to him, then you give him legitimacy but when things go bad then you get out of the discussion and start again the illegitimacy argument. I think that won’t be taken seriously by people. So they have to raise other issues if they were to break the agreement. Gonda: And in his speech at the signing ceremony Arthur Mutambara said there is no longer an opposition in Zimbabwe – do you agree with that? Madhuku: Well I don’t know what he meant by that. There will always be opposition in the country. There may not be an opposition party, so to speak, in the model of the MDC . I do not believe that in terms of this agreement the two parties have an equal standing. I think in the eyes of many people the MDC will still be seen as an opposition which has seconded some of its people into the government, and that is how we see it. 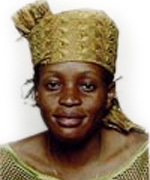 But to say that there is no more opposition is also misleading because even though the MDC may not be opposing ZANU PF during the course of the agreement there are so many voices outside government who would be prepared to oppose moves that are bad – for example civil society groups including the labour, the churches. They will be speaking out against that. They may not be opposition parties but there will be a lot of opposition voices. Gonda: What about the Mutambara formation itself? Is it now a crucial part of the ‘governing’ coalition, given the fact that even Arthur Mutambara didn’t run and in fact supported Simba Makoni in the presidential elections? Madhuku: I think whether they remain an effective portion depends on how they relate in the course of the governing process. If for example they remain a separate party – a distinct party from Tsvangirai’s and from issue-to-issue decision making positions, which relate to the issues and not so much on the basis that they are either Tsvangirai’s group or Mugabe’s group, they might remain an effective component. However if they were to decide that at this stage to say that they will always vote with Tsvangirai’s group in that case they would have dissolved themselves into part of the MDC . Gonda: Many people are cautiously optimistic and they want this agreement to work but what would happen if it fails. Will parliament be able to carry out the work of debating and enacting laws? Madhuku: Parliament can still operate as long as there is an indication that parliament will not simply block what the government would be putting in. I assume in that case the government will still be the government of President Robert Mugabe with a parliament having a majority of the opposition. If from time to time they accept things like the budget and so on they could exist but it will be very difficult. If the agreement were to fail I think it will be very important to then ensure that we create conditions with international supervision for a new round of elections and most importantly under a new constitution. Gonda: I was going to come to that issue of the constitution. What about the process of making a new constitution? Madhuku: The process that is in the agreement is something that is not acceptable. It is not acceptable to the NCA, it is not acceptable to most groups in the civil society and I think it is not acceptable to most people. There is a history in this country about the making of a new constitution and that history must always be taken into account when we propose ways of making a constitution. The people of Zimbabwe through the activities of 1999 and 2000 in the ‘no vote’ have always wanted the process of making a new constitution which is not dominated by the politicians, and as long as the process is dominated by the politicians it will be rejected. This one is dominated by the politicians. They want a parliamentary select committee, which will in turn create some subcommittees and only those subcommittees will have some membership of the civil society groups and as it is described in the agreement ’as necessary’ or ’where necessary.’ Then there is a process which will, at the end of the day, get a draft constitution that is debated by parliament and then taken to a referendum. So it will mean that politicians form the committee that is the Select Committee. Politicians chair the subcommittee - the subcommittees where the civil society might be members. Politicians debate the draft before it is taken to the people. That is not acceptable. We would want parliament to come at the end after the referendum and we would want a commission which is made up predominantly by Zimbabweans from all walks of life with politicians constituting less than a third of the membership. We have insisted on having an all stakeholders’ commission that is made up of various groups from the civil society and ordinary people with representation from parliament and political parties as a small component. And that commission must do the rounds, get a draft, take it to a referendum and only after a referendum you take it to parliament for enactment. But there is also an unwritten component of that section of the constitution. The politicians actually want a constitution which was written by four people, which they called ’The Kariba Document’ and is referred several times in the agreement. That Kariba draft is what they would want endorsed via that process. So if you go by the process in the agreement you will end up with the Kariba document as their by-product but they will claim it is from the people. That is why the process will be rejected. Gonda: I saw that clause where it appeared there was another constitution signed in Kariba in 2007 and they then said they wanted another one, in the process that you were talking about just now. Have the needs of the 2007 constitution differed from the 2008 needs? I don’t know if I am making any sense here? Madhuku: I think you are making sense. The constitution that was drafted, the response that they are referring to which is the 2007 draft, was the constitution which the parties did. So the four negotiators then did a constitution and the parties agreed to it. It has not been shown to any Zimbabweans nor even the supporters of the parties involved. They don’t have any idea what that constitution involves. So in 2008 when they refer to the process in the agreement they are not serious about it. What they are saying, although not written directly but implied - because in the preamble they refer to the Kariba Document - they would want the parliamentary select committee to pretend to go to the people and at the end of that process come back and pretend to be drafting. And when they draft, the draft that they will produce would be word for word the 2007 draft - the Kariba draft. That is the strategy and that is why people will be very suspicious of that process and would want it to be completely rejected so that we get an independent process dominated by the people. Gonda: But how will you get that since the political parties have already signed this agreement. Is it now too late to have what you called an all stakeholders commission? Madhuku: It is not too late. In fact we are going to fight for an all stakeholders’ commission. There will be a lot of fights. The two parties would have agreed and they will be fighting against us. We are mobilising as the NCA to reject that. There will be fights there; there is no doubt about that. So in that case you will have for the first time MDC and ZANU PF on one side, the NCA and other civic groups that support us on the other and we will really compete for the views of ordinary people. We very much believe that with time, even given three, four or five months ordinary Zimbabweans will accept the point that the constitution must not come from politicians. That the constitution must come from themselves. So if they insist on this process they will get another ‘No Vote’ at the referendum and so we go back ten years. Gonda: How do you answer your critics who say you are being too negative and that you are being a spoiler and also playing the game from the grandstand? Madhuku: Well I wouldn’t know that. I have always reacted to events on the ground which I do not agree with and events on the ground which do not clearly go in line with the kind of positions that I stand for with the rest of the members of the NCA. For me I stand for the position that there should be a new constitution which is people driven. What we get in the agreement is not a new democratic people driven constitution. The only reason why I could stand out as a spoiler is that those who propose solutions or those who are in politics continue to do things that are against what I stand for. But the moment we get our own way, which we believe is right you see we are very constructive because we want progress. Gonda: And you said earlier on that the civil society will fight this especially on the issue of a new constitution. Are you seeing yourselves as the next opposition to the political parties? Gonda: Is there anything in the agreement that you would say is a step in the right direction? Madhuku: There are a few things there which one would stay they are steps in the right direction. I think things to do with the very fact that certain pronouncements are made which promote the beliefs, although those pronouncements are not followed by complete action; I can give the example on the area of a new constitution. The very fact that there is a pronouncement that Zimbabweans must write their own constitution that is a positive thing. The very fact that there is some suggestion that the President must not exercise absolute power that is also a positive thing. Our only problems with all those positive things is that they are really not taken to their logical conclusion. Gonda: There is no doubt that many people want change. What is the mood on the ground and were there spontaneous celebrations when this deal was signed? Madhuku: I think Zimbabweans are not stupid. Most people in their hearts knew that there was not much change here. They knew that there was no new dawn, there was no new beginning. It was the politicians themselves trying to work people to believe that there was a new beginning. And I saw that the speech by President Morgan Tsvangirai of the MDC wanted to take people to the expectations that we were getting something new. But they were not going to take it knowing very well that there is a power sharing agreement, Mugabe was still in charge because it was written all over the place. Even as the signing ceremony was taking place Mugabe was still seen as the person in charge. I think it is the understanding of most people that there is not much change yet. That’s why there is not that excitement. There were isolated pockets of celebrations but they have since died. As we are talking today a few days after the signing ceremony there is nothing and no new government is in place. It’s a series of ZANU PF meetings with the Central Committee, the Politburo and Mugabe leaving the country to go to the United Nations and so people realise that we are back to where we were. Gonda: Thank you very much Dr Lovemore Madhuku. Priscilla: (Since the matter was referred to the negotiators by the principals) there have not been any formal meetings of all the negotiators but there were consultations taking place between political parties. As you may know, the Principals sat on Thursday last week from about 11AM to 3PM and had agreed on some of the ministerial positions in terms of where they would go, save for about four of those, which I am not at liberty to say right now because this was a discussion between the Principals. The Principals then asked that the discussions be sent to the negotiators because I think in their wisdom the Principals thought it may be best to bring back the negotiators who obviously have had a longer time together and may be able to reach some form of compromise. If the consultations between negotiators wielded nothing, then perhaps the issue would then be sent back to the Principals. It is our belief, some of us, that at the stage that we are at some of the negotiators may actually have personal interests themselves in particular portfolios. Or other members in the leadership may begin to have certain interests in particular portfolios and it may not be the best way of doing it because people may not necessarily be now negotiating on a matter of principle but from a position of self interest, which had been our earlier position. The reason why we as negotiators had not allocated the different ministries to political parties at the beginning was that we felt that the only people who could do so without having direct self interests would be the Principals. As you may know, when we were sitting down to look at the powers of the Principals we did not ask the Principals to do it because we knew it would be probably difficult for a particular individual, a Principal, to negotiate his own power. So we did that for them and it made it a lot easier and I think it may have to be referred back to the Principals, who in this case as you may know the world over would have the authority to look at what ministries and to appoint who becomes the minister in a cabinet that is inclusive. Violet: You said as far as you knew there were four remaining ministries that were still a problem. But I spoke with Nelson Chamisa, the MDC -Tsvangirai spokesman, and he said there were more than four (key ministries). The list that he gave us came up to about 10 ministries. Do you know anything about that? Priscilla: Well I wouldn’t know. I am only speaking to you on the basis of the briefing that we got from our Principal. The briefing that we got from our Principal was that there had been agreement on many of the other ministries except for the four key ministries, which as I said it will not be right for me to divulge at this particular point in time. But that was the briefing that we got. I would not want to comment on Chamisa’s position because I don’t know where that briefing was coming from; I can only speak from the briefing that we got from our Principal. Violet: So with the consultations, you didn’t meet as the six negotiators from the three different parties? You were talking separately, informal consultations? Priscilla: Yes they were still informal consultations so that people will see where the differences were and what we needed to do to be able to bridge the gap. But if Chamisa has made an announcement that there has been a breakdown, then it may mean that is the position that is coming from the Tsvangirai grouping... that information had not been relayed to us. Violet: So what do you think happens next? What happens now? Priscilla: Like I said I still think there may still be consultations between the negotiators. I don’t believe people have reached a stage where even at the level of negotiators that they will throw in the towel. I still think there may be room for some conversations that will take place between the negotiators. But in the event that the negotiators themselves fail to reach any compromise, like I said before, the only place in which the final decision will take will be with the Principals. You will remember that even with the last negotiation – when we were still negotiating the global agreement – by the time we finished as negotiators we had not agreed. We then sent those things that we had not agreed including those we had agreed to the Principals and the Principals made the final call. So the same thing will have to happen in this instance. The final call will still have to be made by the Principals. It is still a process that we knew had to take place. People signed the general global agreement. We had a list of the ministries, we have agreed on those ministries to say they will be 31. We will still adhere to the different numbers/ allocations that we said each political party will have. The only bone of contention right now is the issue of which of those 15 goes to Zanu PF, which of the 13 goes to the MDC -Tsvangirai and which of the three will go to the MDC that is led by Mutambara. In the event that people have gone into this inclusive government and one party is unhappy, it can pull out any time. That is the position that is there. But some of us who know the investment that has gone into this process do not believe that the whole thing will fold on the basis of ministerial positions. In fact we anticipated that there would be hard negotiations that will take place in terms of portfolios and I think that is what we currently are involved in. Violet: Now critics of the deal say that is what should have been done first. That there should never have been a signing of a power sharing agreement before finalising the issue of distributing government posts. What can you say about that? Pricilla: It’s a chicken and egg situation. Some of us believe that what we have right now is a basis for a good deal. I think what we have at the moment is something that can take the people of Zimbabwe from where they have been, what we have right now has gotten Zimbabweans and other people that want to support it to re-engage. What we are now doing is the tail end of the process. Of course it is an integral part of that power sharing because you cannot have a power sharing arrangement which does not indicate who takes what cabinet position and the importance of that cabinet position. But we still strongly feel that the process that was taken in terms of this negotiation was the proper process. You know this is what happened in Kenya . Kenya signed the deal, the framework was there and they then went into the cabinet discussions and it took close to two months. We are hoping that it won’t take that long because the people of Zimbabwe want a relief as soon as possible. I think it is in the nature of negotiations. I don’t think people should be too pessimistic. In fact, some of us would have been very worried if you had just sat around in one day and immediately agreed. I think it is important that people spend time, that people negotiate and I think that people understand what power sharing means in terms of the cabinet positions and what goes to where. These are the people that will be at the centre of delivery and cabinet is at the centre of this power sharing and I think we need to give it a little bit of time. Not too much time but a little bit of time and I think it is too early for people to begin to sing the doomsday in this process. Not as yet. anti-RBZ Governor, Gideon Gono, slogans. others took a swipe at the government. is not enough to buy a softdrink. Society in the city after they were told that the bank had run out of cash. activities as well as inflation. comes to Zimbabwe, that saying explains a lot. the protests in Tibet earlier this year have been well documented. deprived of sleep and water, and beaten across the feet and head. "complicated" relationship between the BBC and the authorities in Harare. a regular contributor to BBC programmes. Zimbabwe is that sort of place. try to deal with a threat that comes from the army and police. interest, not just of interest to the audience. media. However, whatever happens, things are unlikely to be the same again. WASHINGTON, D.C. -- Although Zimbabwe's political rivals in mid-September signed a historic agreement to share power, they have yet to agree on the allocation of key ministerial portfolios such as those of defense, finance, and information. At the core of the political agreement lies the priority to turn around the national economy, which not surprisingly, is also the issue that is of greatest concern to Zimbabweans. When asked in 2008 about the most important issue the government should address in the next 12 months, 76% of Zimbabweans mention economic matters: economy (39%), poverty (15%), inflation (15%), job creation (4%), and unemployment (3%). In a country plagued by eight-digit inflation, high unemployment, and severe food and gas shortages, such public focus on the economy is not surprising and reflects the harsh realities on the ground. In addition to stabilizing the economy, the political agreement, under which Robert Mugabe (the long-time leader of the ruling party, Zimbabwe African National Union-Patriotic Front [ZANU-PF]) remains president and Morgan Tsvangirai, (the leader of the Movement for Democratic Change) becomes prime minister, also recognizes the need to respect differences of political opinion. Here, the poll findings show the daunting task ahead as 85% Zimbabweans say "most" or "many" people are afraid to express their political views. Across sub-Saharan Africa, a median of 55% of respondents say "most" or "many" people in their countries are afraid to openly express their political views, 24% say "some" people are afraid, and 11% say no one is afraid. In addition to allowing free political activity in Zimbabwe, the power-sharing agreement also focuses on the issue of ensuring individuals' security by renouncing and desisting "from the promotion and use of violence, under whatever name called, as a means of attaining political ends." This is noteworthy as historically, the armed forces and the police have played a key role in quelling any opposition to ZANU-PF and keeping the ruling party in power. Gallup Poll findings show that similar percentages of Zimbabweans express confidence in the military and the police. In 2008, 33% of those surveyed say they have confidence in their local police force and 38% say they have confidence in their military. Additionally, the police and military elicit far less confidence in 2008 than in 2006 with confidence in each institution declining nearly 20 percentage points in the eyes of the Zimbabwean public. As points of comparison, the median scores on these confidence measures across 32 sub-Saharan Africa countries surveyed in 2006, 2007, and 2008 were 59% and 69%, respectively. The power-sharing agreement also promises a freer press under this new, multiparty political system, "recognizing the importance of the right to freedom of expression." But here again, the Gallup Poll underscores how much effort will be necessary to build public trust in Zimbabwe's media. In 2008, just 22% of those surveyed say they have confidence in the quality and integrity of the media compared with a median score in sub-Saharan Africa of 55%. In light of the dire economic conditions that have afflicted the country for many years, it comes as no surprise that three-quarters of Zimbabweans name economic issues as the most pressing matters for the government to deal with in the next few months. Other Gallup Poll findings regarding confidence in key institutions such as the military, the police, and the media, combined with a climate of political fear that still pervades the country emphasize the tremendous challenges for the future government, after it is actually formed. Results are based on face-to-face interviews with at least 1,000 adults, aged 15 and older, in Zimbabwe in March 2008. The sub-Saharan African median scores are based on national samples, in most countries, of at least 1,000 adults, aged 15 and older, conducted in 2007, in Angola (urban areas only), Benin, Botswana, Burkina Faso, Burundi, Cameroon, Central African Republic, Chad (excludes eastern region), Democratic Republic of the Congo (urban areas only), Ethiopia, Ghana, Guinea, Kenya, Liberia, Madagascar, Malawi, Mali, Mauritania, Mozambique, Namibia, Niger, Nigeria, Rwanda, Senegal, Sierra Leone, South Africa, Sudan (excludes Darfur and parts of the South, around Juba and Nimule), Tanzania, Togo, Uganda, and Zambia. For results based on the total sample of national adults, one can say with 95% confidence that the maximum margin of sampling error is ±5 percentage points. In addition to sampling error, question wording and practical difficulties in conducting surveys can introduce error or bias into the findings of public opinion polls. worse by years of state-sponsored violence and intimidation." The call comes at a time when human rights violations continue in Zimbabwe. sharing deal, barely a week after the deal was signed. agreement by the rival parties. there will be no long term stability if issues of justice are not addressed. credibility of the democratic process as soon as possible." said were efforts by Britain and the United States to oust him. continued to blame for devastating the country's economy. bringing the country to its knees. any reason why we can't work together as Zimbabweans,' Mugabe said. make peace with the West and not antagonize them,' Dziya said. capitals and New York to attend UN sponsored events. discarded as a worthless charade. world was subjected to yet another rambling diatribe against imaginary foes. leave an issue outstanding that could wreck the agreement. party gave him what he could not get through a free and fair election. services. The MDC will carry the political cost of failure. now up to Zimbabweans to implement the agreement. If it fails, life goes on. agreement. That will simply not happen. left on their own to deal with the consequences of their folly.